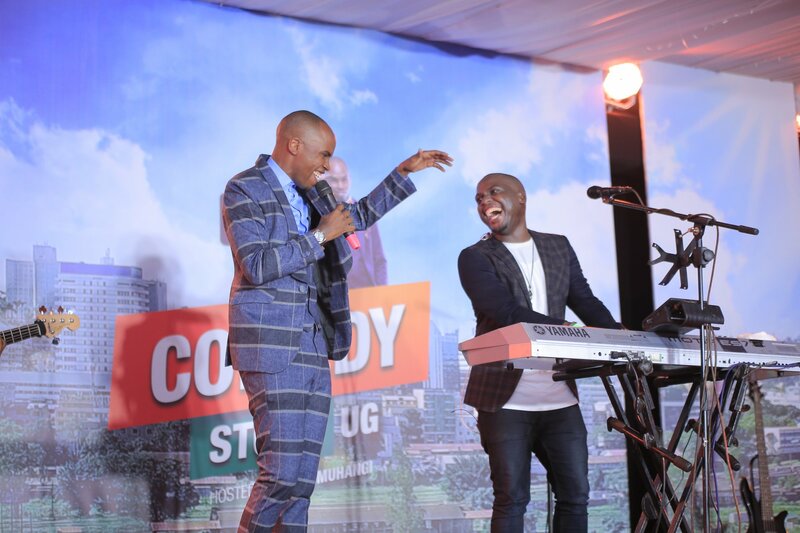 Singers; Jose Chameleone (L) and Cindy (R) performing side-by-side on Comedy Store at UMA in Lugogo on Thursday. Very rarely do you hear an artiste of Chameleone’s stature throw a tantrum about a fellow local artiste turning down his request for a collaborative music project. 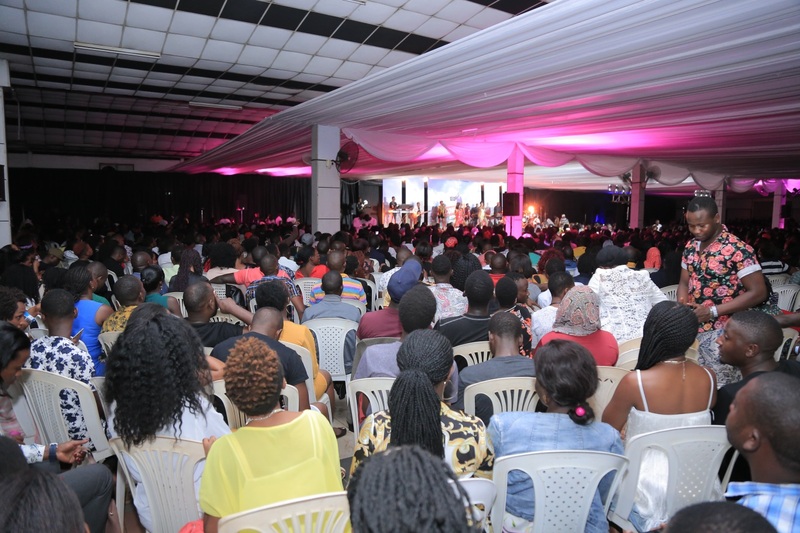 The reason is quite obvious – Jose Chameleone is one of the most respected names in the music industry, he was among the pioneers of what has come to be Uganda’s Afropop sound. For most musicians both in Uganda and East Africa, featuring Chameleone on a song would not only be a launch pad to a possible hit song but also, such strategic collaborations mean a great deal in one’s music career. 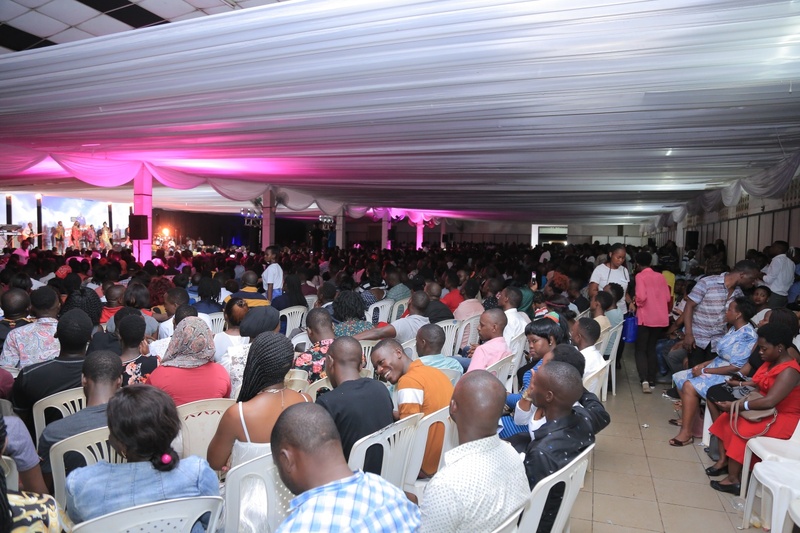 Which is why when the Mateeka singer on Thursday accused dancehall songstress, Cinderella Sanyu (Cindy) of denying him a collabo, it sounded like a joke he had prepared for his set on Comedy Store where both singers performed that night. 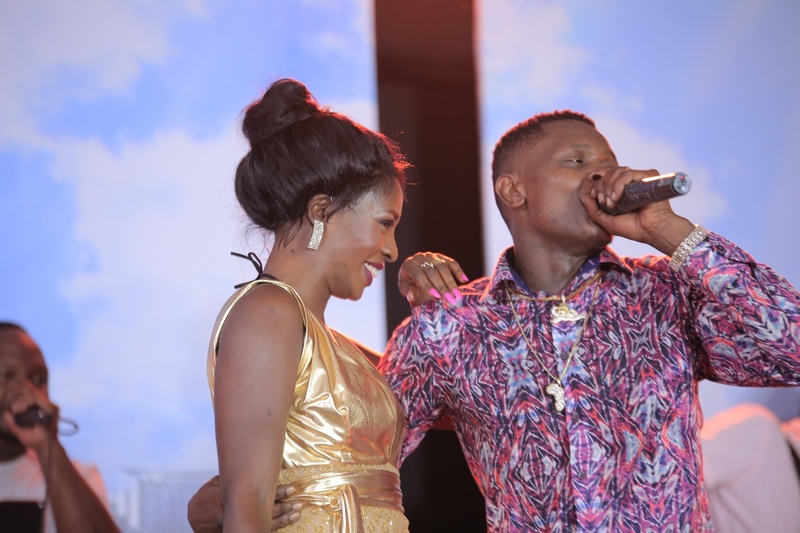 Chameleone, in the midst of his performance alongside Melody, invited Cindy to join him on stage. She had sat in the VIP section to catch a breath after a very physical performance. 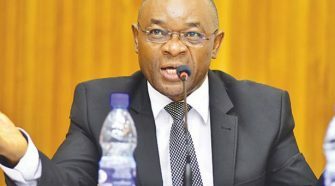 She would join the duo to sing some lines off their 2014 hit song ‘Nkoleki’. 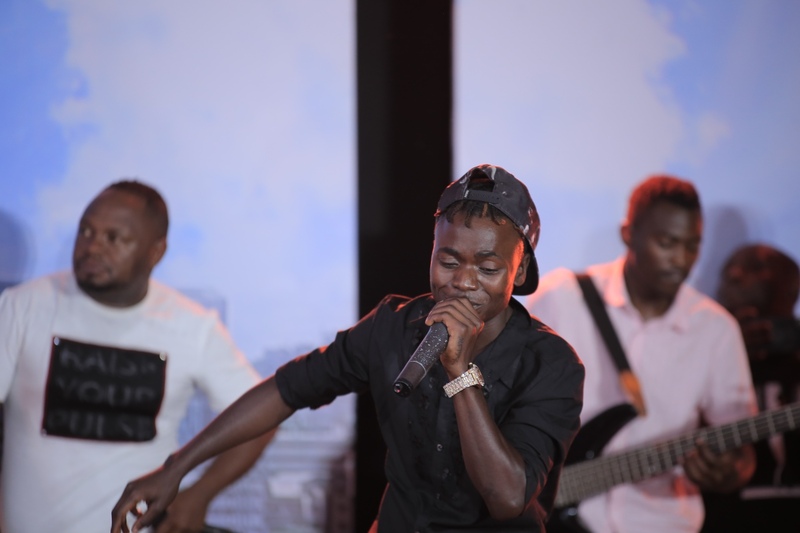 Like he intended to prove that he still got his vocal mojo, Chamili attempted to hit different pitches albeit with difficulty given his signature husky voice. 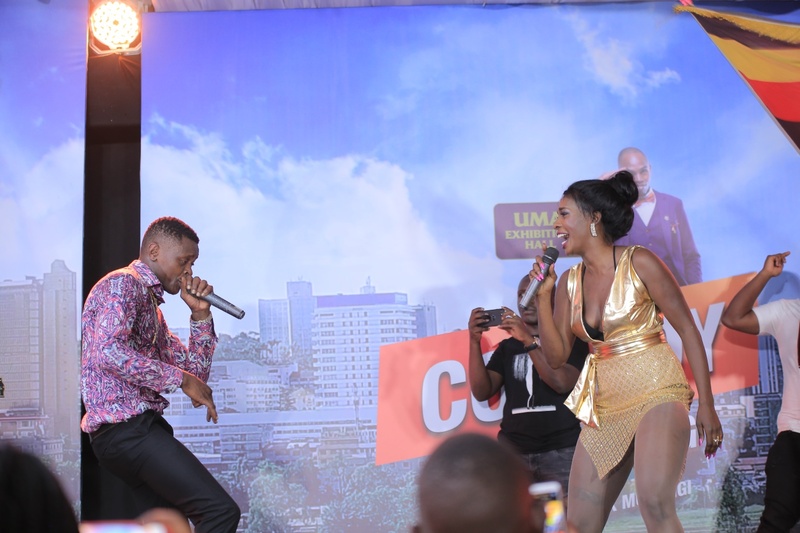 Unrelenting, he dared Cindy to a ragga freestyle. Even then, only a few of his unscripted lines made sense, save for a few in which he showered praise on her. Cindy had borrowed lines from one of her songs. Perhaps not a levelled field for the duo, but none of that mattered to the excited audience which applauded endlessly. “Cindy, I’m not just your fan. I love you. I love you,” confessed Chameleone. The two would later embrace themselves with a passionate hug. But that wasn’t the only strange thing the night had to serve. “Cindy you denied me a collabo, but I don’t care,” said the self-proclaimed Music Doctor while Cindy made her way from the stage. Surprised at the remark, the ‘Run this City’ singer reached for the mic to perhaps clear the air. “I can never say No to Chameleone. It’s not possible”. 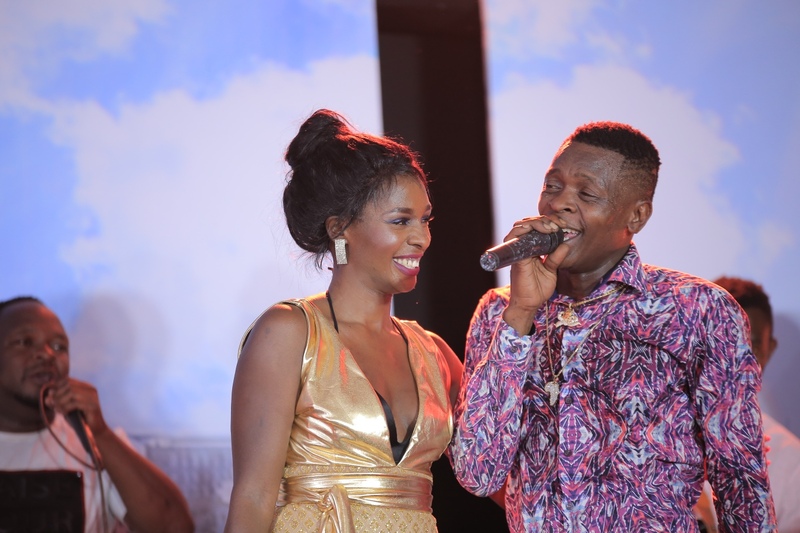 In an exclusive interview with SoftPower News later after the show in Lugogo, Cindy indeed stressed that she did not deny Chameleone a collabo. “I did not deny him a collaboration. But the communication failed between me and his team. That’s where the problem is,” she added. “I wish so hard that I could speak to him directly like ‘Hey Chameleone, it’s studio time, can you show up?’. That would be the easiest thing”. 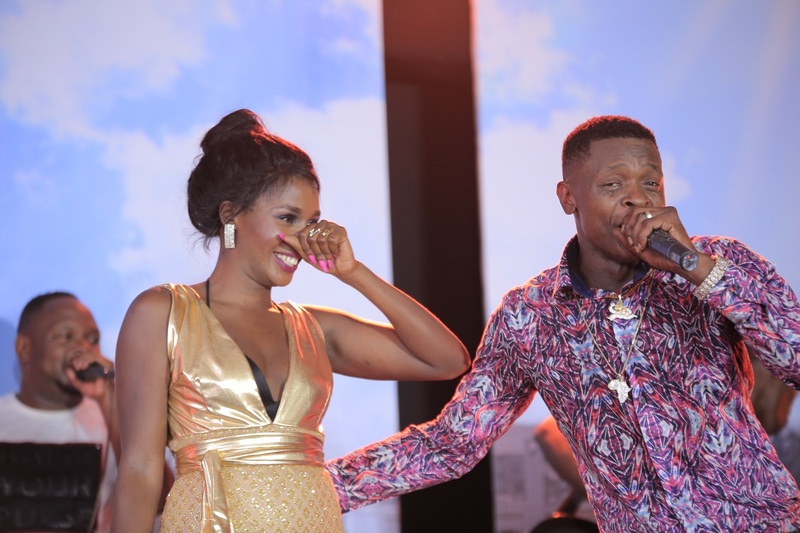 Cindy believes that Chameleone might be open to the idea yet unaware that his “complicated” team is responsible for not seeing it through. “I think as Chameleone, he actually doesn’t know. Today when he said that, I thought to myself ‘Oh no, he actually thinks I refused’. I think he doesn’t know that his team makes it complicated to work with him”. “It’s not like I don’t want to work with the living legend Chameleone”. On whether she would consider reaching out to Chameleone since the other channel seems to have failed, she said she would consider, now that she knows he is interested. 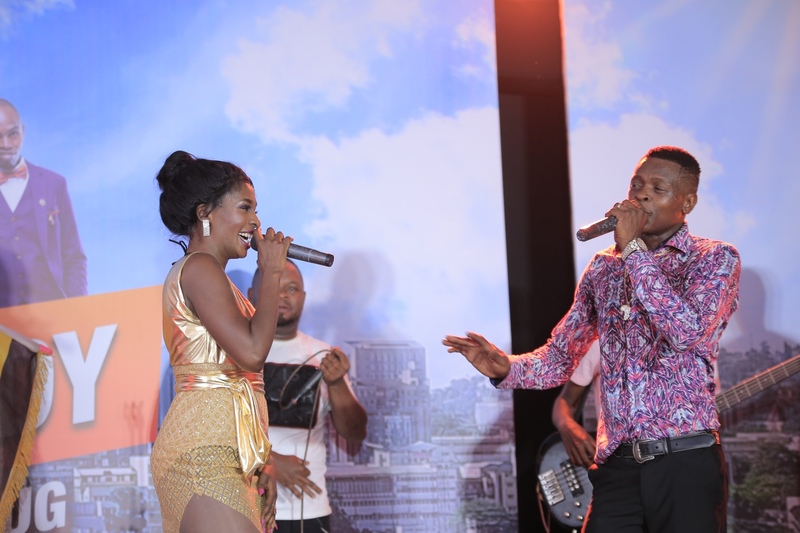 Being a dancehall artiste and Chameleone an afrobeat singer, one cant begin to fathom what sound the duo would put together or even how much thrill their stage performance would evoke. Surprisingly, Cindy told SoftPower News that with Chamili, she would prefer a zouk or raggae kind of sound. “If I could choose, I would choose a reggae song that would bring out his… because I like Chameleone when he gets emotional. 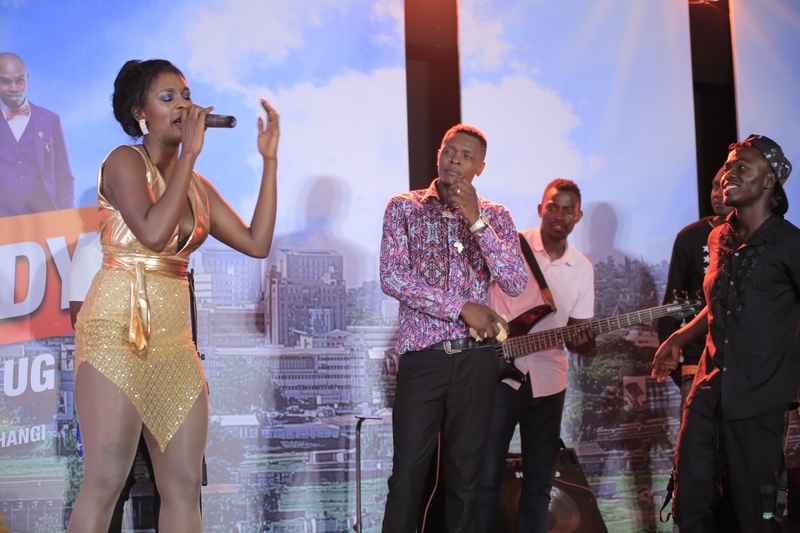 That’s the Chameleone that I love,” Cindy told this news website. “I feel like we’ve seen so much of his energy and all that. We know he can do that. But we don’t know that Chameleone can fall in love, he can get emotional. You know like when he does Valu Valu and stuff, that’s what I want to bring out of him”. But Cindy says she can’t predetermine what the song will sound like. 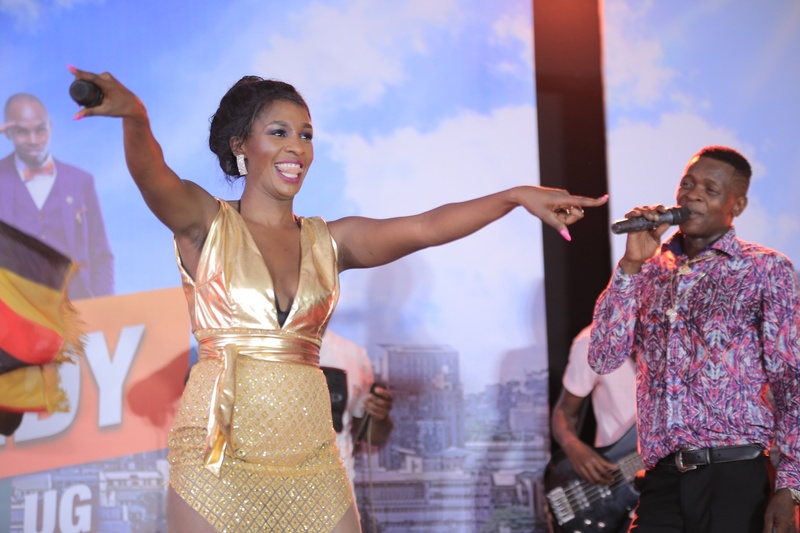 It has to be mutual, based on the sort of vibe that the two artistes catch once in studio. For now, we’ll have to keep fingers crossed until it happens.